Whether you want to experience the vibrancy of one of the most famous cities in the world, take a stroll down a very long memory lane, or simply enjoy the beauty and serenity of nature, France has it all. Finding the perfect campsite in France from which to embark on any particular French adventure is easily accomplished on lux-camp.co.uk. 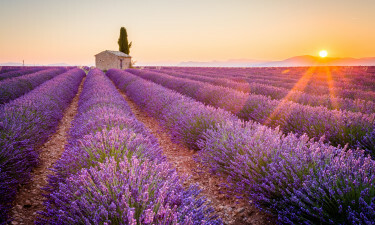 France has long been associated with romance and beauty and its diverse landscape provides spectacular settings enough to satisfy everyone's notion of both. With both the Atlantic and the Mediterranean oceans lapping at its shores, it boasts some of the most magnificent coastline in Europe. From snow-capped peaks to warm, golden beaches and lush vegetation, visitors are assured of finding their ideal luxury camping holiday. France takes kindly to campers, and provides hundreds of picturesque sites from which to choose. 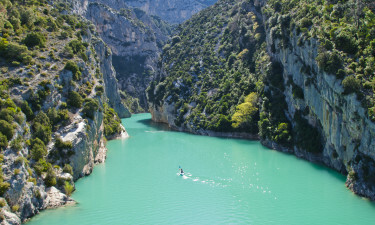 Languedoc lies in the picturesque south of France, and its unspoilt countryside and stunning coastline provides a unique camping experience for all tastes. Undulating vineyards, historic castles, warm, golden beaches and snow-capped mountains are only part of the appeal for campers who love to cycle, canoe, or simply enjoy the magnificent scenery. Lux-Camp knows where the very best in luxury camping can be found. Also known as the French Riviera, Côte d'Azur has always been a playground for the rich and famous. With it surrounding Monaco, it is primarily a yachting or cruising region and Lux-Camp can certainly accommodate those in the mood for luxury camping. Whether in a mobile home, a luxury tent or a bungalow tent, comfort and style will be guaranteed. The sights and delights of Paris really need no further emphasis, except to mention that Disneyland is almost as popular as the Eiffel Tower as a tourist attraction. A camping holiday here also gives easy access to the Champs Elysées and invites romantic strolls along the banks of the river Seine. Lux-Camp will ensure that a luxury camping site brings the foot-weary home to comfort. The soft, white sands of French beaches have held many famous bodies and none more so than La Paloma on the Côte d'Azur and, of course, the stunning sands of Saint Tropez, but France boast many such spectacular beaches. 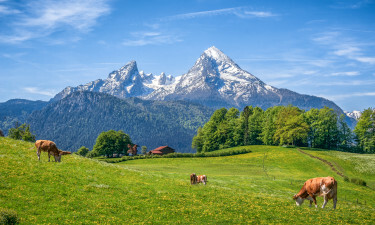 For those who prefer studying French wildlife, the Aiguilles Rouges found close to the Mont Blanc mountain range delivers scenic beauty and an abundance of local fauna and flora. There is also the Auvergne Volcanic region with its 4 volcanic mountain ranges. LUX Camp offers a wide range of all the best campsites in France. With campsites in 18 regions, historic landscapes, beautiful beaches and Disneyland Paris, camping in France is an all time favourite with LUX Camp families. Book your next luxury family camping holiday online or contact one of our highly experinced sales agents to find the perfect campsite for you and your family. France is a country covered in historical attractions from the Arc de Triomphe to Versailles. It is equally as rich in arts and culture, with enviable and world-renowned museums, art galleries and music and film establishments like Juilliard and Cannes. 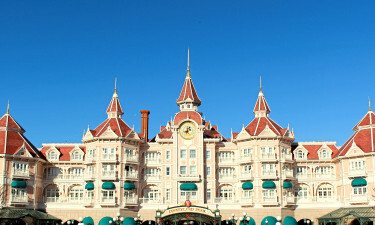 Staying in one of our camp sites close to Paris makes the perfect opportunity to visit Disney World Paris. There are also those famous vineyards to be visited to sample some of the world's finest wines. With its spectacular mountain ranges, visitors also flock to France to experience its truly superb winter sports facilities and hiking opportunities. 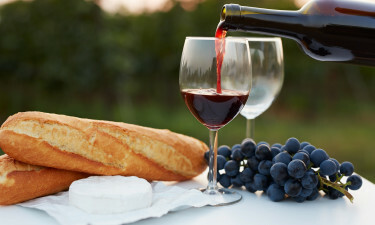 France is a country with a reputation for culinary excellence, and this is evident whether dining in a fine restaurant, or sampling the simple delights of crispy bread and a wide variety of delicious cheeses washed down by that famous French wine. Hearty soups and fish or meat stews are traditionally favoured and crème brulee remains a popular desert among visitors. 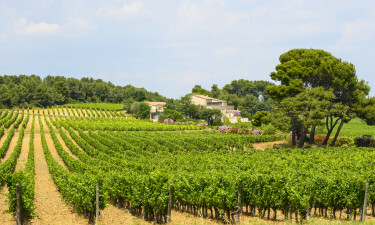 France experiences varied climatic conditions, but in general it enjoys a temperate climate with predominant sunshine along the Mediterranean coastline. However, the central region which includes Paris and Lyon can see temperatures drop to negative figures during winter. Rainfall is mainly restricted to the Pyrenees, which border Spain. Lux-Camp is familiar with weather conditions in all areas of France and ensures that a camping holiday is planned accordingly. Gauls, Greeks and Phoenicians were the earliest inhabitants of France, particularly along the Mediterranean. The Roman invasion led by Julius Caesar in 57-52 B.C. brought many changes and bequeathed much for future generations to marvel at. A camping holiday based in this region offers fine examples of the architectural styles of these early ancestors. Territories were gradually expanded until, in 1328, France was seen as the most powerful nation in Europe.